The grubby façade of 2 Portland Place in Brighton gives absolutely the wrong impression as to its recent history. The building is not forgotten, or unloved. Its owner, John Atkins, simply loves it too much. John began meticulously restoring the Grade II listed townhouse in 2004, not long after he took on the grand property from his mother. He was in fact born on the first floor. 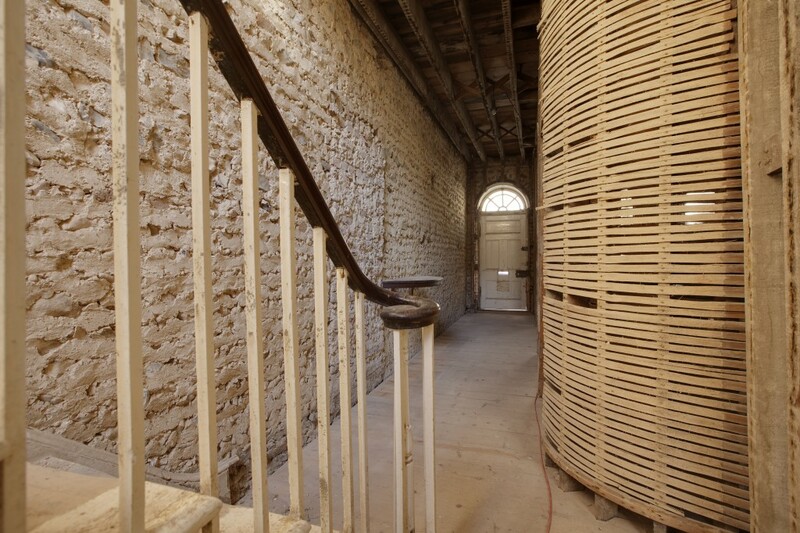 Eleven skips were filled – eight for the old plaster alone – to bring the building back to the bare bones so that an incredible restoration could commence. But the job though meticulous, has simply dragged on. And John loves the place too much to cut corners. He is now selling. Portland Place, just off the Kemp Town seafront, was built in 1824-28 on land that was owned by Major Villeroy Russell. The composition was designed by the prolific local architect Charles Busby. It consists of two opposing five-storey terraces that are characterised by large Corinthian pilasters with yellow-brick inserts. Major Russell never quite finished his dream home either sadly. It was to be a massive mansion facing the sea at the top of Portland Place but it burnt down in 1825, before it could be completed. There are all sorts of fascinating things to see when buildings are naked. The workings are exposed and offer the same sort of attraction as an explanation of a magic trick. The routes of the brass wires of a forgotten servants’ bell system are laid bare. An internal lead-lined gulley, running from the parapet at the front to a downpipe at the back, through the loft, is currently exposed. An extensive wooden framework, connected to the main chimney breast on the first floor, clearly exists just to make the main fireplace look symmetrical. The slate roof of the building has been replaced, as have its sash windows. My favourite feature is actually a two-storey high arched window at the rear of the building that serves both the first and second floors. Its lower section consists of twelve panes of glass; its arched top consists of thirteen. I have never seen such a tall window in a building of this size. 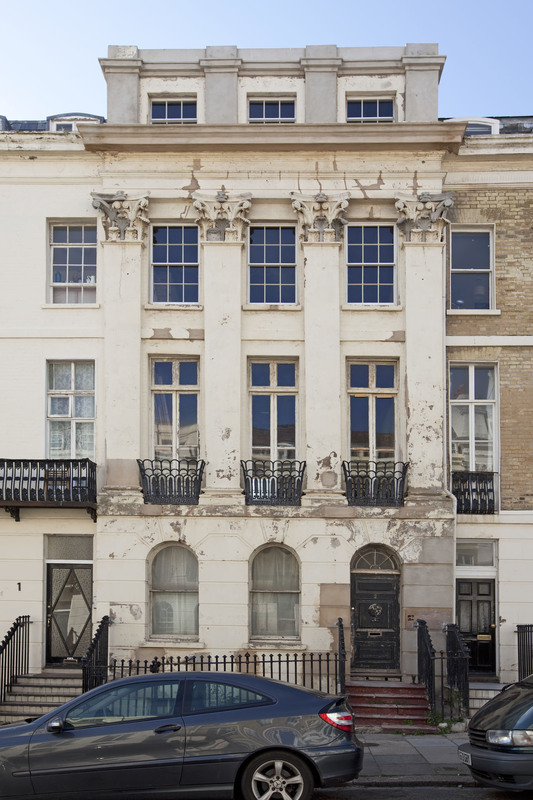 It is rare to find a Regency townhouse that has not been converted into flats, and rarer still to find one for sale. 2 Portland Place is now on the market with Mishon Welton for around £1 million.